Description: Get ready to retake Atlantis! 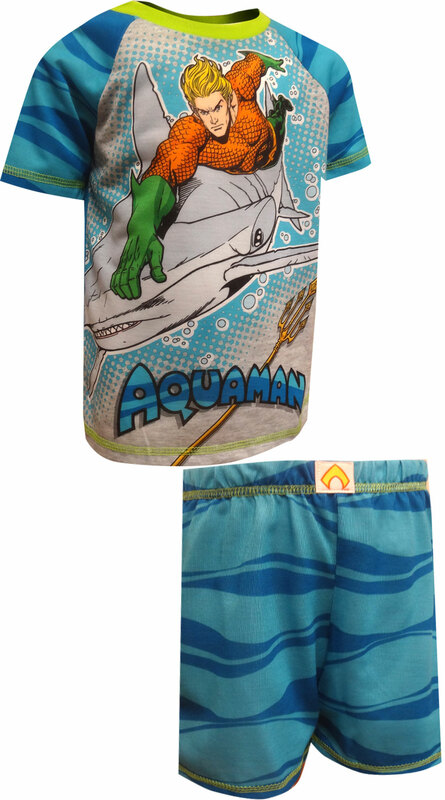 These colorful pajamas for boys feature DC Comics underwater hero, Aquaman and his warrior shark, ready for battle. 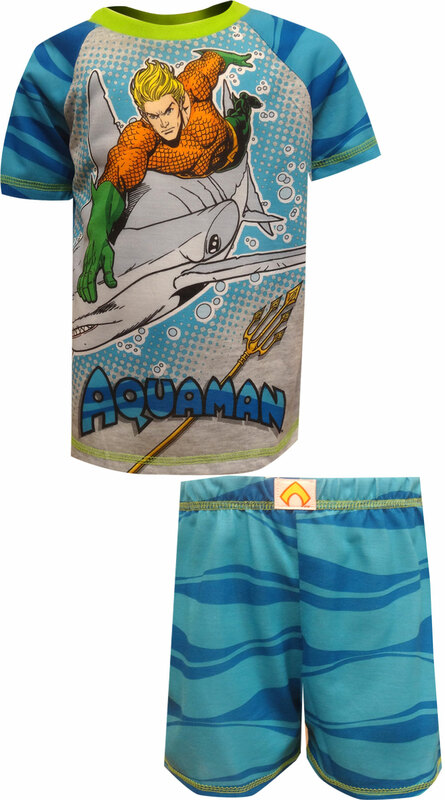 The sleeves and shorts are two-toned, to look like the rippling water world of Aquaman. Perfect for the comic book kid in your house! 100% polyester is flame resistant to meet safety standards.